Easy Delicious Duck Recipe with Gluten-Free Port Cherry Glaze! Easy Delicious Duck Recipe with Gluten-Free Port Cherry Glaze! Easy Delicious Duck Recipe with Gluten-Free Port Cherry glaze! Duck à l’orange? How about duck au cerise instead? 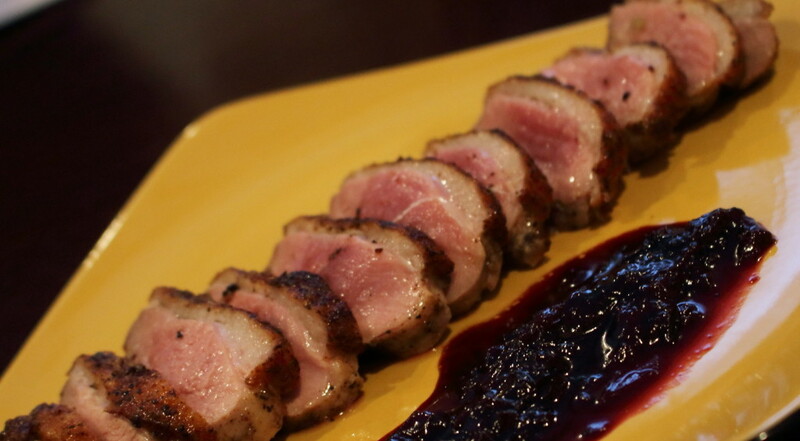 This delicious duck recipe is so easy to make and the incredible Port cherry sauce is gluten-free! If you’ve read my book, Going Against the Grain – Italian Style! 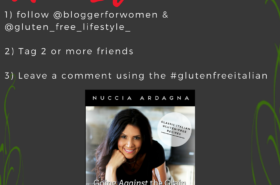 : A Gluten-Free Life Guide and Recipe Book for Staying Healthy and Eating Amazingly! (Volume 1) you’ll know that my family has supported me in my journey by joining me in my gluten-free lifestyle. Duck is not something we eat regularly around here in fact I don’t even remember the time I had duck before this. Now, let’s get something out of the way real quick. Not sure what the general feeling is about eating duck but I will say that if prepared and cooked properly this makes for a scrumptious dish! There are certain things you have to try at least once and this is definitely one of them. If you’ve never had duck before than go ahead and make this recipe your first time! You had better share your thoughts with me if you do! Seriously! Doesn’t this look delicious? At the risk of repeating myself again, this was so delicious that it just had to make my blog…I couldn’t be selfish and keep this one to myself! So…without further ado…. (drum roll please)….here’re the recipe! Begin by making 4 cuts in each duck breast width-wise, about 1/8” deep, or just deep enough to penetrate/cut the skin. Generously rub the sea salt and crackled pepper on both sides of the breast. Melt the butter in a heavy skillet on medium-high heat. When melted, add the duck breasts, skin down and sear for 5 minutes. Lower the heat to medium, turn over and sear for an additional 4 minutes. Once seared on both sides remove from pan and set on cutting board (cover with aluminum foil). Thinly slice the duck breasts. Serve by either drizzling the cherry Port glaze over the duck or simply serve the glaze on the side. We had these with mashed potatoes, rapini and a delicious glass of red wine. Permanent hair removal system at home! What worked for me! 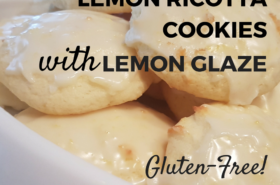 Lemon Ricotta Cookies with Lemon Glaze – Gluten-free! 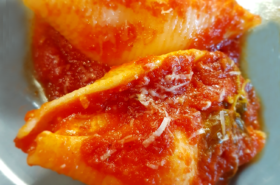 GIVEAWAY: GOING AGAINST THE GRAIN – ITALIAN STYLE! Thanks Mila! With pleasure! Do I simply click on your link and share? Oh yes, you can simply cilck on the link and share your post. Pleasure to meet you too ! Wow, that’s something! Gluten free that tastes like non-gluten free!